Today I opted to do CardioX instead of Plyo. Since I am easing my way back into a routine, I didn’t want to overload my core, plus I figured CardioX offers a nice sampling of all of the P90X workouts. My upper arms, chest and back were pretty sore from last nights workout, so despite my dislike of yoga, the first segment of CardioX actually felt good. After a few sun salutations and the Warrior sequences, I was ready for my favorite of all the P90X workouts….Kenpo! There is just something about jab, cross, hook, uppercutting that makes me feel happy. After Kenpo came a little Plyo, which I find fun (only in CardioX since it is only a few moves). 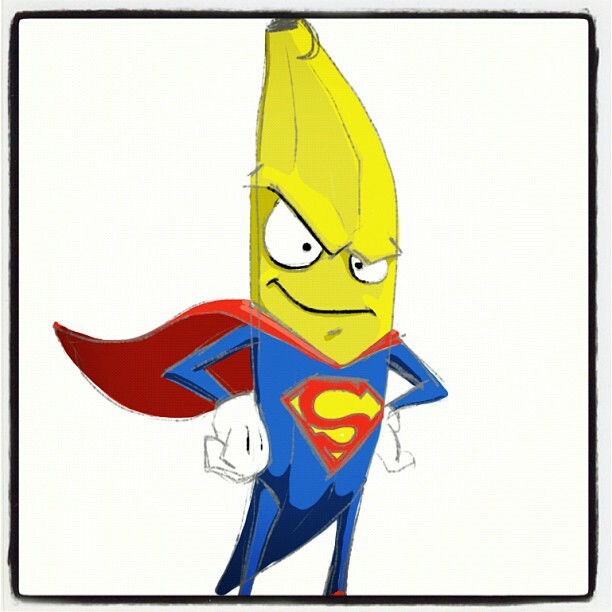 After jumping around like a bunny doing wacky jacks, I entered Superman-Banana-land …aka Core Synergistics. I did all of the moves in this workout until this segment, I didn’t feel ready to attempt the Drea Roll yet. Truth be told, I have always been leery of it. Overall, it was a great workout! I was proud of myself for completing all of the Superman/Banana’s and I managed to work up a good sweat. Tomorrow is my favorite lifting workout in the program, Shoulders and Arms, so I guess I should finish this recovery drink and get some rest. Awesome job! You should join TKD with me! We do the kenpo and supermans! Sooooo much fun!